The compassionate team of dentists at Dental Studio at Rosslyn understand that injuries and sudden toothaches can happen unexpectedly, which is why they prioritize treating your dental emergency as soon as possible. If you need an emergency dentist in Arlington, Virginia, the expert team has you covered. Call the office right away for prompt service. Any time you experience an injury that causes a tooth to become loose or knocked-out, or suffer from intense mouth pain, you may need emergency dental treatment. Sometimes emergency situations involve conditions that develop gradually, like a dental abscess. The team at Dental Studio at Rosslyn is committed to addressing your emergency promptly. Prompt dental care not only relieves pain, but it may also help save a tooth or prevent your condition from worsening. As soon as you suspect you have a dental emergency, you should call Dental Studio at Rosslyn. A member of their expert team asks questions about your emergency and determines whether you need urgent care. How do you treat a dental emergency? 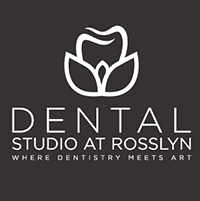 First, one of the experienced providers at Dental Studio at Rosslyn evaluates your condition. Then, they offer the best treatment for your situation as quickly as possible. If you or a loved one needs an emergency dentist, don’t hesitate to call Dental Studio at Rosslyn immediately.